Sport Australia Chair John Wylie has commended the four finalists in a new award that will highlight the value of integrity, fair play and sportsmanship. The inaugural Sport Australia Award will be presented at the AIS Sport Performance Awards in Sydney on 13 December, the annual celebration of Australian high performance sport. Finalists for all award categories will be announced throughout this week, but Wylie launched the new Sport Australia Award first to highlight the inspiring impact fair play, integrity and sporting role models can have on Australians. “Australians love to win and we rightfully celebrate these victories, but success in sport can be measured far more broadly than by who claims the gold medal or who hoists the trophy at the end of a tournament,” Wylie said. “Sport Australia launched a new vision this year: for Australia to be the world’s most active sporting nation, known for its integrity, sporting success and world-leading sports industry. Integrity leads that list of priorities because it must be fundamental to Australian sport. “We believe unquestionably in the power of sport and physical activity to reflect the very best in our Australian culture. Sport promotes social inclusion and cohesion, and teaches vital lifelong personal qualities of character, resilience and teamwork, as well as the life lessons gained by both winning and losing. 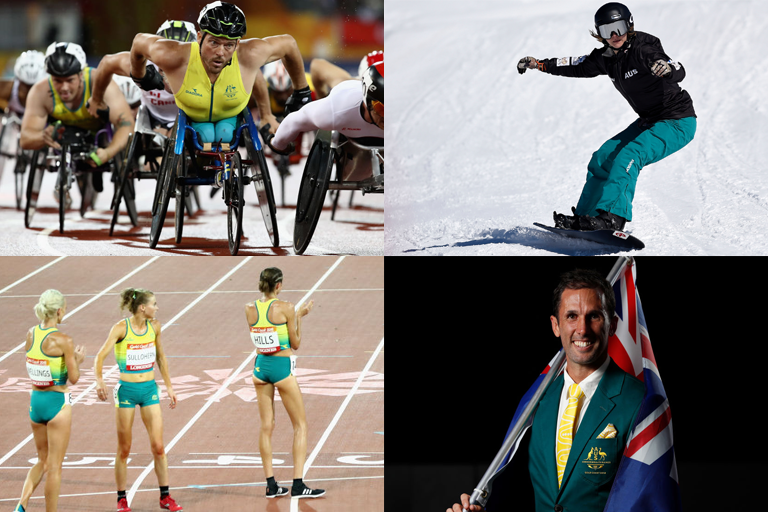 The four finalists for the inaugural Sport Australia Award are Mark Knowles (Hockey); Joany Badenhorst (Winter Paralympian); Celia Sullohern, Madeline Hills and Eloise Wellings (Athletics) and; Kurt Fearnley (Paralympic athletics). Mark Knowles (Hockey): An Olympic and World Cup gold medallist over a long and distinguished career, the Australian Kookaburras captain was the ideal choice to lead the Australian team as flagbearer for the 2018 Gold Coast Commonwealth Games. But in an act of selflessness and team spirit, Mark retreated back into the team of trailing Australian athletes so they could all march together. Mark went on to captain the kookaburras to another gold medal, his final match for Australia. Joany Badenhorst (Winter Paralympian): A gold medal favourite, Australian co-captain and team flagbearer, Joany crashed in her final training session, the resulting injuries ruling her out of competition. Adding to the heartbreak, it was a repeat of the 2014 Sochi Paralympics. Rather than dwell on her own misfortune, the 23-year-old instead turned her focus to supporting the team. She issued a video message of support to Australian teammates and cheered them on throughout the Games. Celia Sullohern, Madeline Hills and Eloise Wellings (Athletics): It was an act of sportsmanship that helped define the spirit of the Gold Coast Commonwealth Games.The three Australian10,000m runners waited at the finish line, five minutes after the race had been won, cheer on, embrace and congratulate the last-placed athlete, Lineo Chaka of the African nation of Lesotho. The AIS Sport Performance Awards (#ASPAs) are also giving Australian sport fans the chance to get involved in judging. The AIS, in partnership with media partner ABC Grandstand, has also launched a public vote to determine the ABC Sport Personality of the Year and Best Sporting Moment of the past 12 months. Fans can vote at aisawards.abc.net.au from now until 5pm AEDT on 9 December, 2018. Finalists, as judged by an AIS panel, will be announced this week in other categories: male athlete; female athlete; emerging athlete; Para-performance; coach; leader; team; and high performance program.